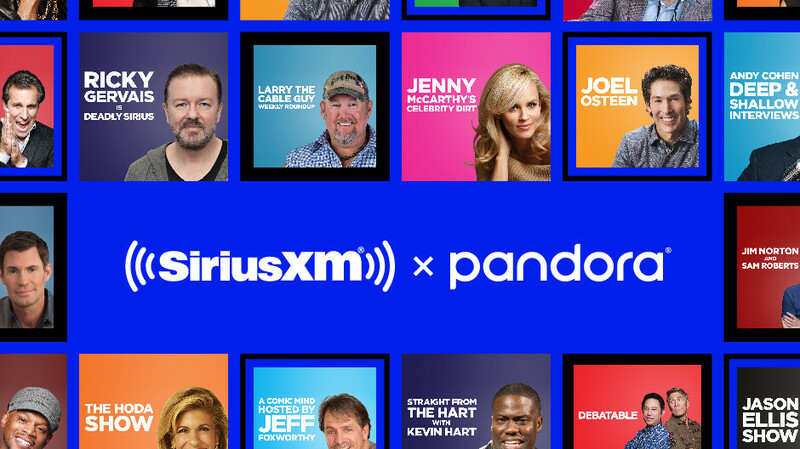 Pandora has just announced it will add content from select SiriusXM shows that cover multiple aspects such as entertainment, talk, comedy, music, and sports. The new content will be available to all Pandora listeners as podcasts starting today. Among the entertainment shows that will now be available to subscribers, Pandora mentions Andy Cohen'sDeep & Shallow Interviews, featuring Cohen's best conversations of the week, Jenny McCarthy's Celebrity Dirt, sharing highlights of McCarthy dishing about the latest Hollywood scandals, The Jason Ellis Show, playing top moments of the week, and The Hoda Show, a full, commercial-free podcast of Hoda Kotb's SiriusXM program. On the other hand, comedy fans will be happy to know that they'll be able to hear from some of the world's best comedians by listening to Straight from The Hart with Kevin Hart, Ricky Gervais Is Deadly Sirius, and Larry the Cable Guy Weekly Roundup, which will be available on Pandora as commercial-free podcasts each week. Highlights from some of SiriusXM's top sports programs, including Mad Dog Unleashed, Schein on Sports, and Busted Open, will be available to Pandora subscribers as well. You can find here the full list of podcasts that should be available on Pandora starting today.